Chinese gold miners liked to gamble. This ticket is from the Chinese game pakapoo. 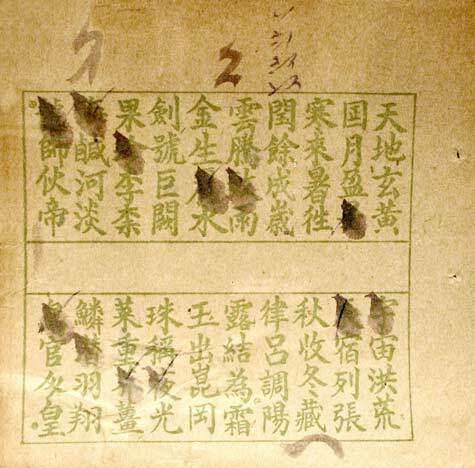 Each pakapoo ticket contained rows of characters marked in green ink from the Chian Ji Mun (an ancient poem in which no two words are repeated). Similar to lottery tickets, they were bought from an agent and the green ink characters were marked with black ink (in this example 12 green ink characters have been chosen). The agent kept a copy. A master ticket, on which 20 green ink characters were marked, was drawn. The ticket that best matched the master ticket’s choices was the winner.